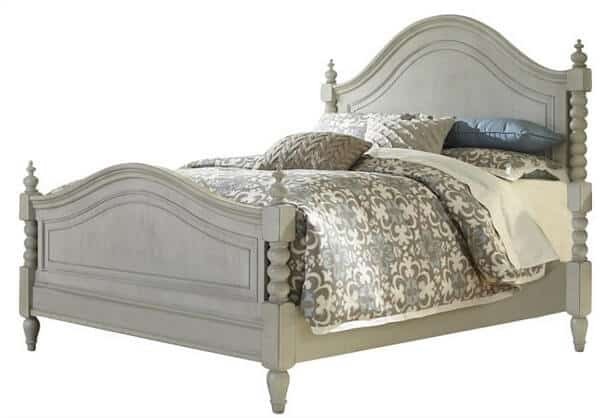 Can you believe that we almost sold this gorgeous bed? I know – the thought baffles me too! 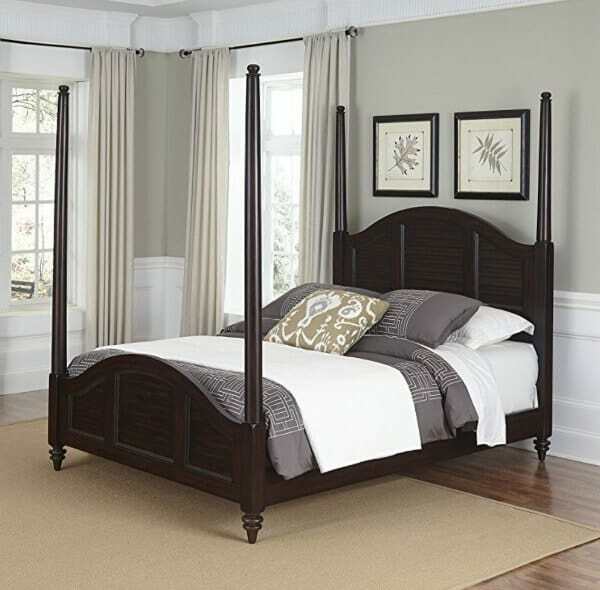 The most common question my readers ask me is where did you get your beautiful bed frame. 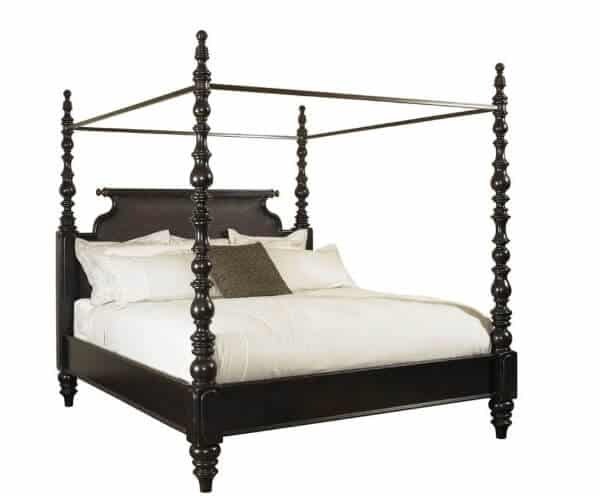 I’ve gathered some gorgeous Four Poster Farmhouse Beds for you to check out. And best of all – they are shoppable online! 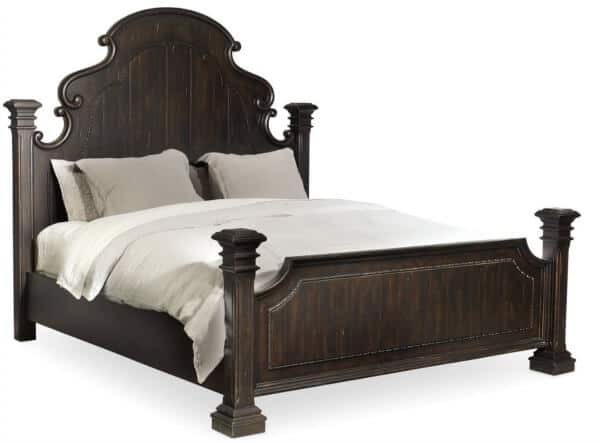 Our bed was our first grown up piece of furniture Trent and I purchased. By ‘grown up’, I mean the non-build-it-yourself-from-a-box furniture purchase. 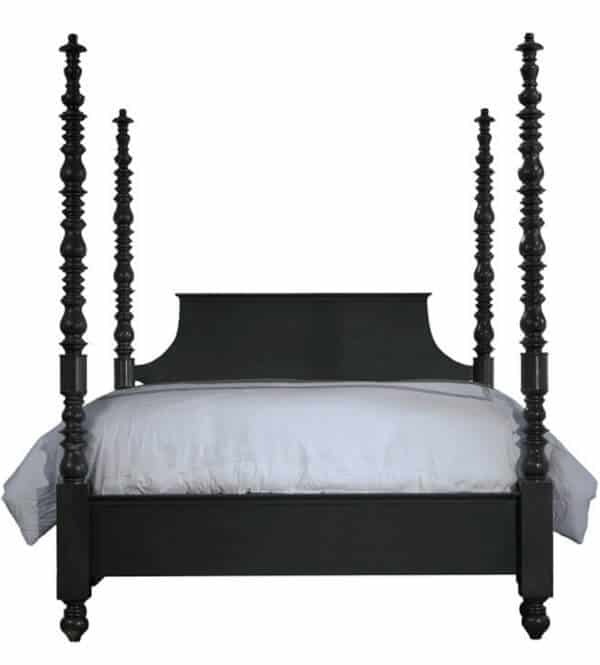 We fell in love with this Cannonball Four Poster Bed 10 years ago at a local furniture store and had to have it. 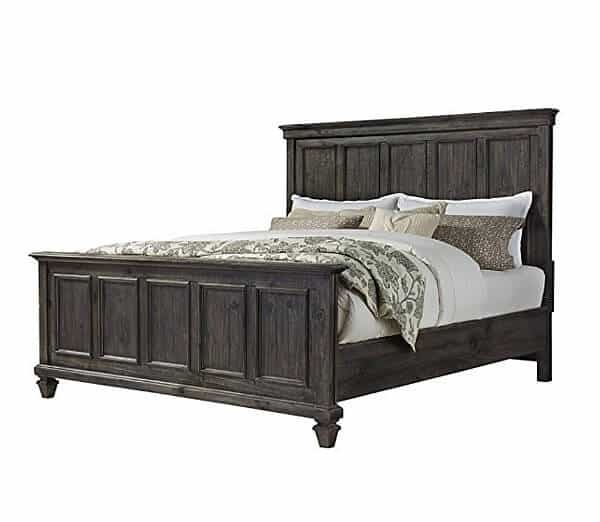 Well, friends, today you are in luck because I pulled together a list of similar pieces to help you find your Four Poster Farmhouse bed of your dreams. Affiliate links are provided for your convenience. You can read all about that here. 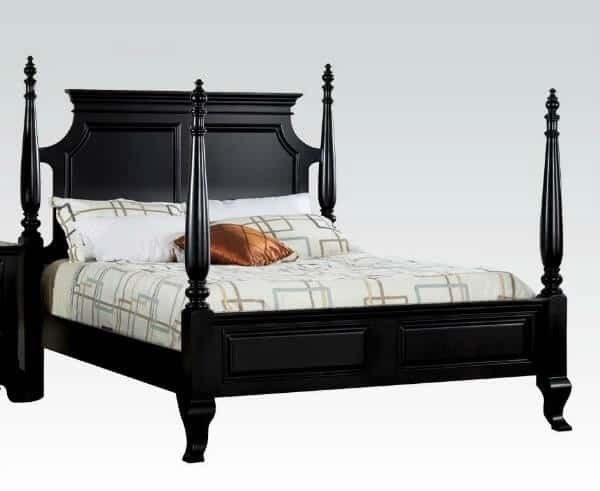 While I couldn’t find the exact model and replica as my bed, I found a few stunners that are very similar to our bed. Did you find one that you love? Hopefully this post has helped! If you want to pin this for later, click the image below. 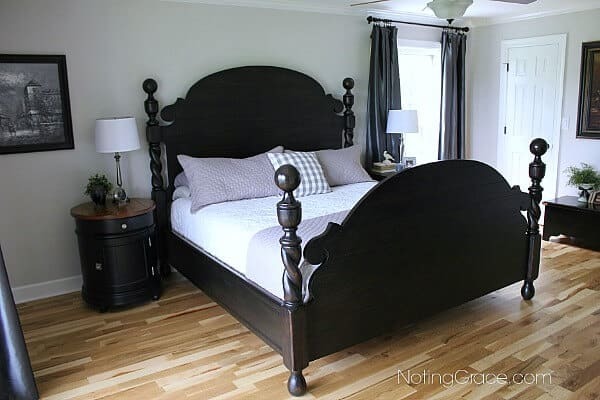 Thank you for the tips at The Really Crafty Link Party.. My favorite is the first one, though all these beds are beautiful. I wish I could share the link to my exact bed – but it’s not available anymore! Thanks for taking the time to comment! 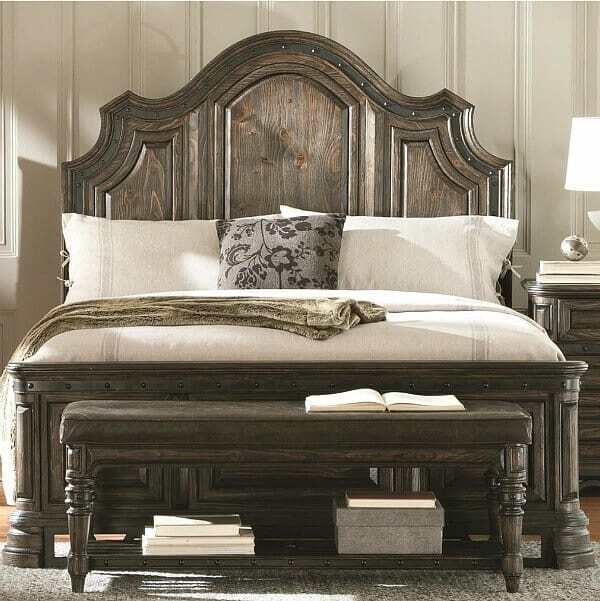 I just hopped by from Homestead Blog Hop to check out your bed selections and I pinned this wonderful four poster farmhouse beds post. These are such inspiring ideas. Thank you so much Deborah! 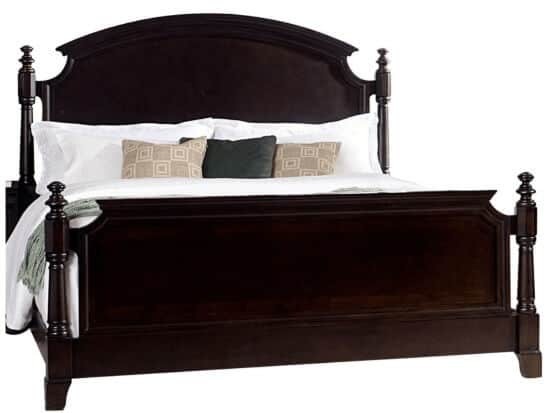 There are some awesome beds out there for sure – and at much better prices than our big bed! Glad to know this inspired you and I so appreciate you taking the time to leave me such a sweet comment! These are all gorgeous! Thanks for sharing this with us at the Homestead Blog Hop! Thank you Ann! I always enjoy linking up and finding inspiration!